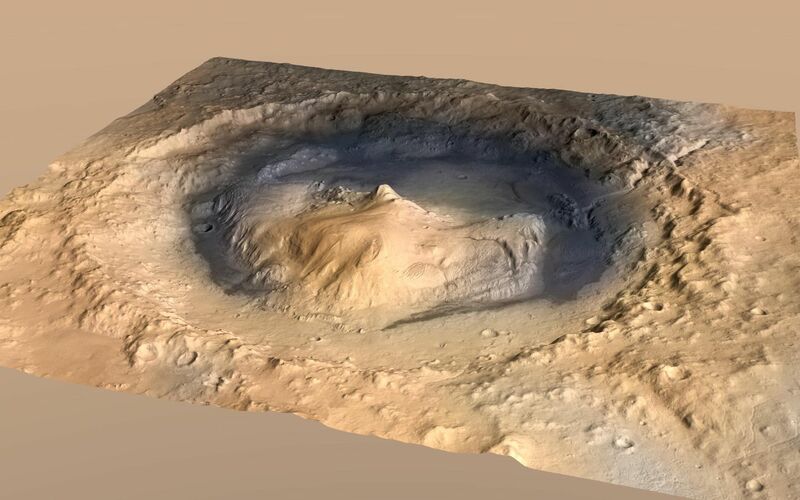 Gale Crater, where the rover Curiosity of NASA's Mars Science Laboratory mission will land in August 2012, contains a mountain rising from the crater floor. 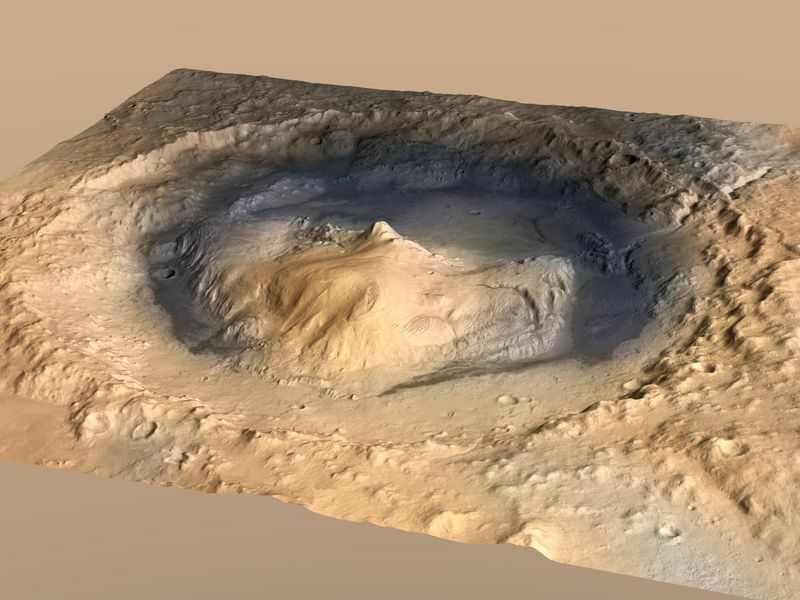 This oblique view of Gale Crater, looking toward the southeast, is an artist's impression using two-fold vertical exaggeration to emphasize the area's topography. Curiosity's landing site is on the crater floor northeast of the mountain. 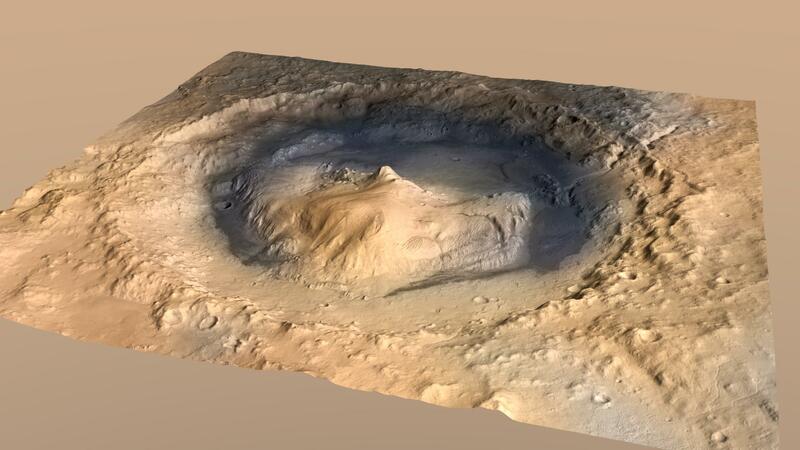 The crater's diameter is 96 miles (154 kilometers).